Cut End of the Tree Branch Wallpaper is a wallpaper pack containing wallpapers of various resolutions and screen sizes including iPad and iPhone. Cut End of the Tree Branch Wallpaper is prepared by MITARI. MITARI is a long time contributer of our deviantArt group. License : Not Mentioned, reserved by MITARI. It is a RAR download, the file is 16.4 MB in size. This Article Has Been Shared 6685 Times! 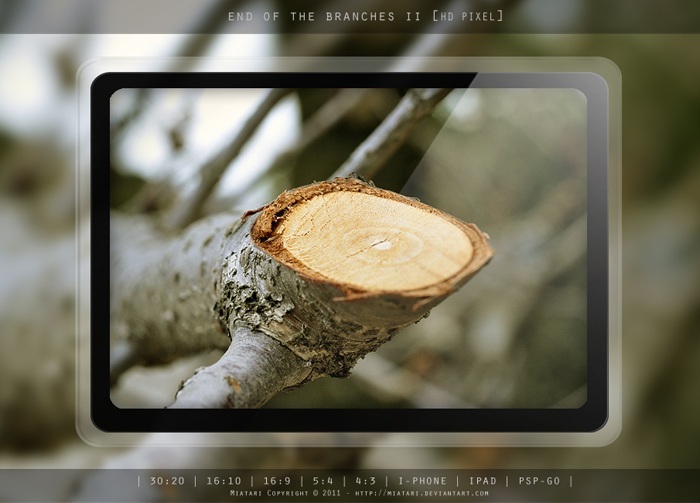 Cite this article as: Abhishek Ghosh, "Cut End of the Tree Branch Wallpaper for PC, Mac, iPad, iPhone," in The Customize Windows, December 13, 2011, April 20, 2019, https://thecustomizewindows.com/2011/12/cut-end-of-the-tree-branch-wallpaper-for-pc-mac-ipad-iphone/.